(Indianapolis, IN – April 2017) As National Student Employment Week comes to a close and IUPUI’s Top 100 ceremony concludes for another year, one student who represents both categories advocates the benefits of internships and resources. 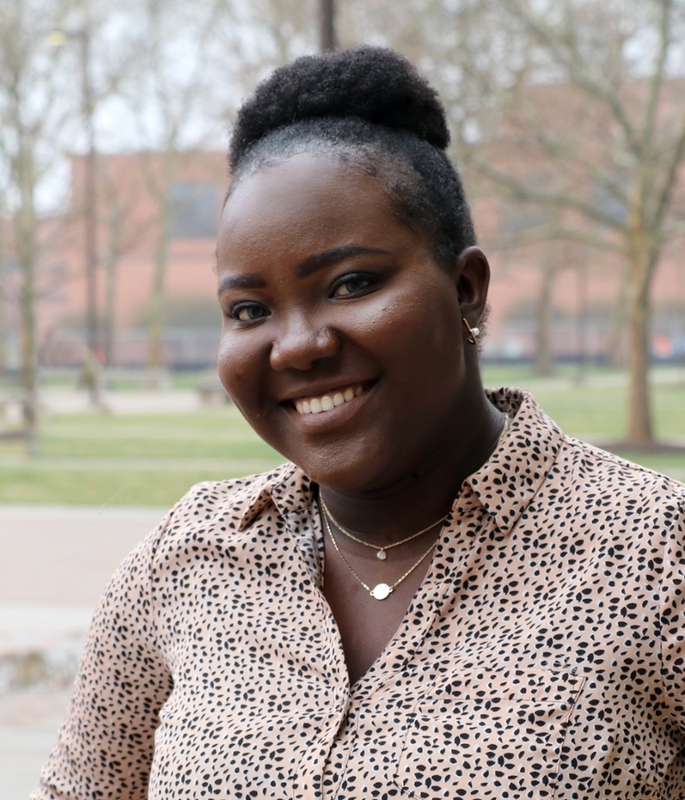 Adetoun Akinmboni is a junior Top 100 student majoring in informatics at IUPUI as well as a student employee in the Office of Admissions and the Office of Student Employment in the Division of Undergraduate Education. She attributes her responsibilities in both of these offices to helping her become more proficient in public speaking and career goal planning. As a campus ambassador for the Office of Admissions, Akinmboni takes high school students on tours of the campus. Similarly, she is a student employment ambassador in the Office of Student Employment in which her primary role is managing that office’s social media. At first, Akinmboni felt challenged by this role, worried that as a Nigerian native her English skills would make communicating in social media posts difficult, but it has not been an issue. Another part of Akinmboni’s job in the Office of Student Employment includes advertising, using hundreds of resources.